Cold and dark, but still a great vacation spot. Ever since the early 1980's, I've been fascinated by Pluto and have been working to learn more about this little world. Every line of study is fair game and I've worked long and hard from many directions to add to our collective knowledge. The items listed below will take you to areas that I've worked on or perhaps point you to interesting information that others have come up with. If you don't see something here that you want to see explained, send me e-mail and I'll add it to the list of questions answered on these web pages. 2010 Feb 4: After years of work I have completed reconstructing maps of the surface of Pluto from images taken with the Hubble Space Telescope. Check out the official press release from the Space Telescope Science Institute and NASA. I also have more information about these maps, how I made them, and other cool stuff. Also, see what Pluto looks like right now: a wide field showing all the moons, a medium field with just Pluto and Charon, or a closeup of just Pluto. These images are a combination of art and my new maps. I've added some texture to the surface to make it more interesting. But, the overall light and dark patterns and the general color are taken from the HST maps. If you want the full scientific story check out the two papers released on Feb. 4, 2010 (Clyde Tombaugh's 104th birthday, totally by chance): Paper I and paper II. We're going to Pluto! 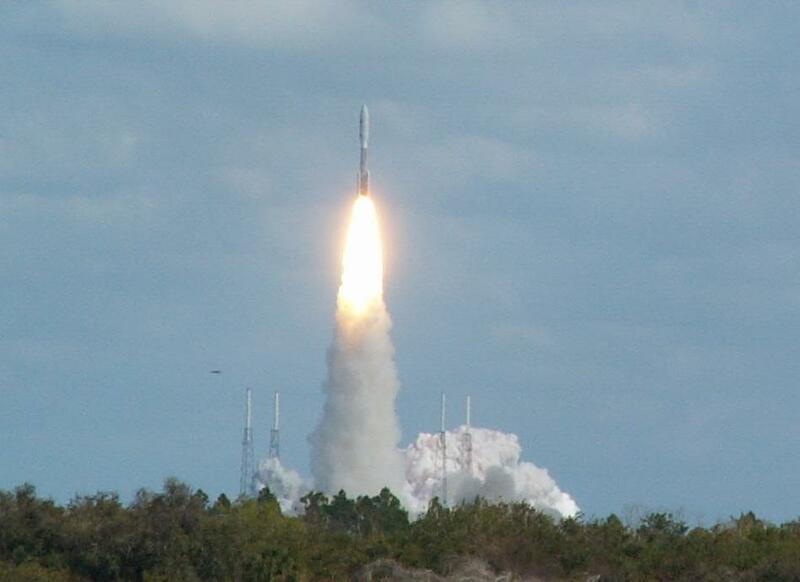 New Horizons was successfully launched on January 19, 2006 at 2:00pm EST. I was there to see it and it was a glorious sight. We passed Jupiter in February 2007, Saturn in June 2008, and get to Pluto on July 14, 2015. Check out this page to see where the spacecraft is now (courtesy of Daniel Muller). Here's a copy (3.5Mb) of my public lecture at the Kennedy Space Center on January 17, 2006 that I gave just before launch. Pluto reached perihelion (closest point to the Sun) on 1989 September 5 at 12:00 UT. At that time it was at 29.66 AU, or 4.4 billion kilometers, or 2.7 billion miles from the Sun. Pluto became the "eighth" planet on 1979 February 7 at 10:44 UT when it came to a distance from the Sun less than Neptune. It held this status until 1999 February 11 at 11:22 UT when it once again moved out further than Neptune. Its status as the ninth planet will remain undisputed for the next 220 years when it will once again be approaching perihelion. Of course, in that time we might discover another planet closer than Pluto but only time will tell. So what is Pluto, really? A planet, asteroid, comet, dog? Indirect maps of the surface of Pluto and Charon. What do they look like and how do we know? Check out this release on direct maps of Pluto that I worked on with Dr. Alan Stern at the Southwest Research Insitute. I also participated in a InterNet-based talk show, Live with Derek McGinty on Discovery Channel Online, discussing these and other Pluto results. Just how cold is Pluto and what effect does that have on the surface and atmosphere? Ever wonder what the phases of the moon (Charon) would look like if you lived on Pluto? Information about and for the "Live from HST" program. Here's some interesting information in an area dedicated to the memory of Clyde Tombaugh.